Postcards For Peace is the very simple idea of sending messages of peace, non-violence, hope, support and love around the world on postcards. 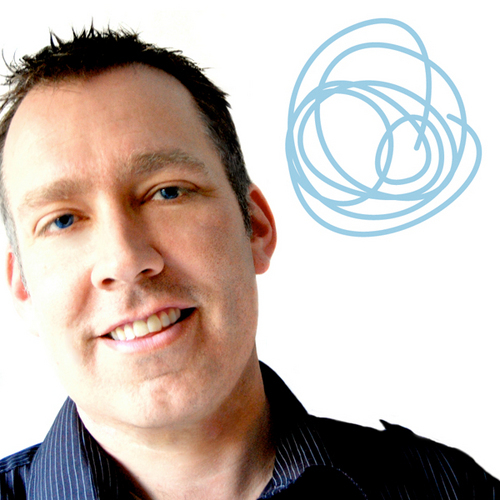 Founded by Martin Rowsell, he saw it as a way of putting the skills and experience he had gained, from working in the design industry, to good use. 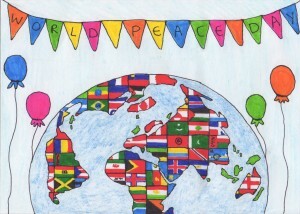 The mission for Postcards for Peace is to use postcards to improve the well being of those people, around the world, whose lives are affected by violence or prejudice, by promoting change and offering hope, support and education. It starts with children. They love the idea. 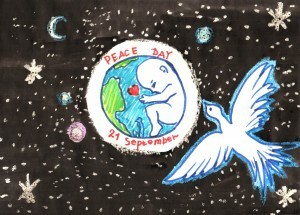 In 2014, Postcards for Peace held a Peace Day Postcard Design Competition for children in the UK. In 2015 they opened the competition up to all children all over the world and received in excess of 130 entries from many different countries. The winner of the 7-11 age group is Artemiy Semyenov, aged 9, from Zelenogorsk in Russia. 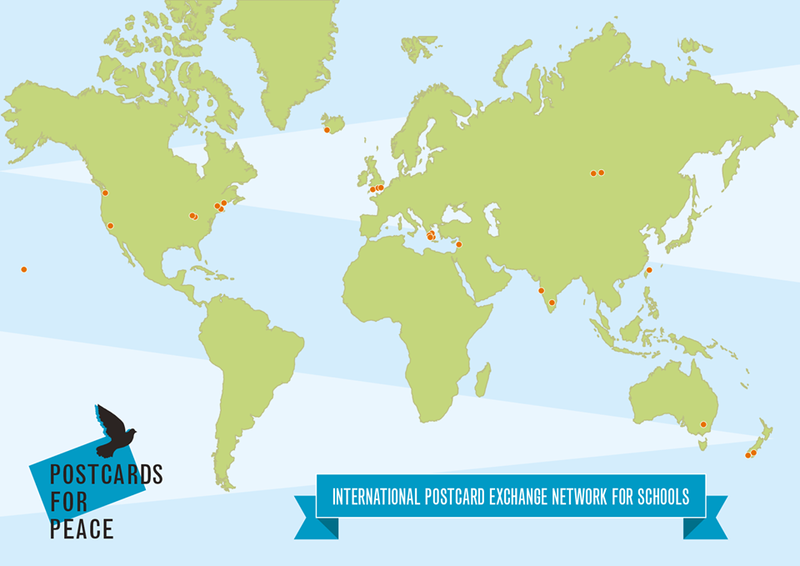 From this, Postcard Exchange Network has developed which is a network of schools around the world for classes of children to design and exchange postcards with other children, of a similar age, in different countries. The winner of the 12-16 age group is Lily Marchant from Gloucestershire in the UK. It is open to EVERY school in the world. So get your school involved and tell all your friends across the globe. How amazing would it be if every school on the planet was connected through messages of peace. To get involved please register your details. There are other opportunities to get involved too as an Ambassador or even as a Sponsor. Postcards for Peace is a Community Interest Company, a non profit social enterprise. All money raised from the sale of postcards will go back into the company. Any profits at the end of each financial year will be divided between the charities we work with.